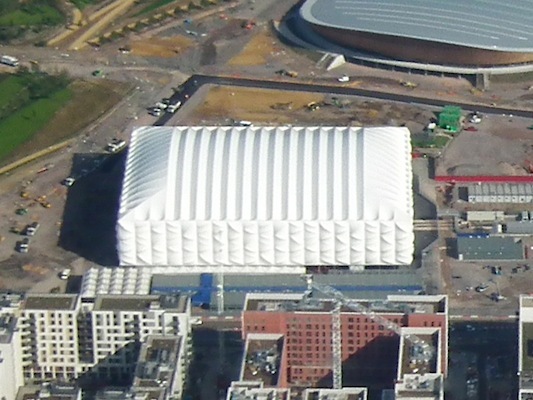 Another attraction that is to the amazing city of London is the London Basketball Arena that is a temporary facility for the 2012 Summer Olympic Games, the largest for any games ever. Some critics are considering that these upcomig Olympic games will be amongst the best games ever. 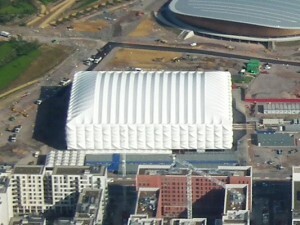 The newly constructed temporary basketball arena that was built to accommodate basketball, paralympic wheelchair basketball, paralympic wheelchair rugby and the last two rounds of Olympic handball venues of the 2012 London Summer Olympics. Before construction of te London Basketball Arena the historic Wembley Stadium was originally proposed to hold these events to save an estimated 90 million pounds. This massive basketball arena that is located in Olympic Village and will hold 12,000 people for Olympic games and 10,000 for the Paralympic Games . Work began on this spectacular building began in late 2009 and was finished as of June 2011. For the semi finals and the finals of the handball games it will take an estimated 22 hours to change the basketball arena to the handball court. After the games the facility will is considered to be relocated elsewhere within the UK for upcoming sports events to come.